Micah L. Sifry è co-fondatore e direttore del Personal Democracy Forum, un sito web che si occupa dei modi in cui la tecnologia sta cambiando la politica e di TechPresident.com, il pluripremiato blog su come i candidati alle presidenziali americane usano il web e di come il web usa loro. Oltre ad organizzare l'annuale conferenza di Personal Democracy Forum con il suo partner Andrew Rasiej, egli si interroga su come organizzazioni politiche, campagne, organizzazioni no-profit e i media possono adattarsi e prosperare nel mondo in rete. In tale veste, è stato fin dalla sua fondazione nel 2006 consulente senior per la Sunlight Foundation. Nel corso della sua carriera ha scritto per numerose pubblicazioni, tra cui The New York Times, The Washington Post, The Los Angeles Times, Politico, TalkingPointsMemo, Newsday, The American Prospect, The Hill, Salon.com, IntellectualPolitics.com, Columbia Journalism Review, Tikkun, TomPaine.com, Salon.com, Newsday, HotWired’s Netizen, World Business, The New York Observer, George, Los Angeles, Elle, Inside Media, The Village Voice, YES Magazine e The Progressive. È apparso in This Morning per la CBS, su MSBNC, C-SPAN, BBC, Sky News, MTV News, National Public Radio, CBC Radio, Air America e numerosi talk locali in radio. Dal 1997 al 2005, è stato analizzatore per Public Campaign, un'organizzazione no-profit, non-partisan con sede a Washington DC, occupandosi della riforma sul finanziamento delle campagne. Prima di questo, Sifry è stato per tredici anni editorialista per la rivista The Nation. Egli è co-autore con Nancy Watzman di Is That a Politician in Your Pocket? Washington on $2 Million a Day (2004), autore di Spoiling for a Fight: Third-Party Politics in America (2002) e co-autore di The Iraq War Reader (2003), The Gulf War Reader (1991) e Rebooting America (2008), scritto con Allison Fine, Andrew Rasiej e Josh Levy, un'antologia su come Internet e le nuove tecnologie possono essere utilizzati per reinventare la democrazia americana. Il suo ultimo libro, uscito a febbraio 2011, è Wikileaks and the Age of Transparency. Professore presso il Dipartimento di Scienze Politiche della City University di New York/Graduate Center, tiene il corso “Writing Politics”. Il suo blog personale è micah.sifry.com. Micah L. Sifry is co-founder and editor of the Personal Democracy Forum, a website and annual conference that covers the ways technology is changing politics and TechPresident.com, its award-winning group blog on how the American presidential candidates are using the web and how the web is using them. 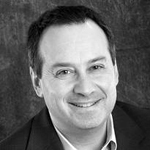 In addition to organizing the annual Personal Democracy Forum conference with his partner Andrew Rasiej, he consults on how political organizations, campaigns, non-profits and media entities can adapt to and thrive in a networked world. In that capacity, he has been a senior technology adviser to the Sunlight Foundation since its founding in 2006. He has written for numerous publications over the course of his career, including The New York Times, The Washington Post, The Los Angeles Times, Politico, TalkingPointsMemo, Newsday, The American Prospect, The Hill, Salon.com, IntellectualPolitics.com, Columbia Journalism Review, Tikkun, TomPaine.com, Salon.com, Newsday, HotWired's Netizen, World Business, The New York Observer, George, Los Angeles, Elle, Inside Media, The Village Voice, YES Magazine and The Progressive. In 1998-99, he was an Independent Project Fellow of the Open Society Institute, and was invited to write the epilogue of The Encyclopedia of Third Parties in America (2000). He has appeared on CBS This Morning, MSBNC, C-SPAN, BBC, Sky News, MTV News, National Public Radio, CBC Radio, Air America and too many local talk radio programs. From 1997-2005, he was a senior analyst with Public Campaign, a non-profit, non-partisan organization based in Washington, DC working on comprehensive campaign finance reform. Prior to that, Sifry was an editor and writer with The Nation magazine for thirteen years. He is the co-author with Nancy Watzman of Is That a Politician in Your Pocket? Washington on $2 Million a Day (2004), author of Spoiling for a Fight: Third-Party Politics in America (2002) and co-edited The Iraq War Reader (2003) and The Gulf War Reader (1991). His latest book, co-edited with Allison Fine, Andrew Rasiej and Josh Levy, is an anthology of writing on how the Internet and new technology can be used to reinvent American democracy entitled Rebooting America (2008). He is also an adjunct professor at the Political Science Department of the City University of New York/Graduate Center, where he sometimes teaches a course called Writing Politics. His personal blog is at micah.sifry.com.